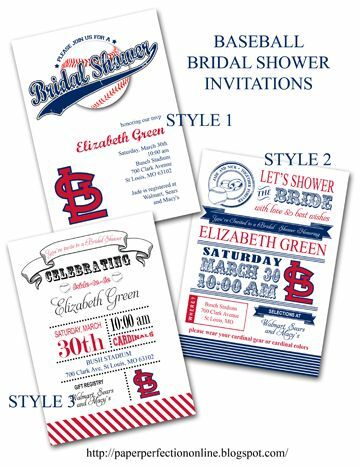 It is always fun to create custom items like this Baseball Bridal Shower invitation that help make a fun day even more special. These would also make great Baby Shower invitations for parents that love sports or a specific team. If you are looking for a unique invitation like one of the ones below or need a custom invite for an upcoming bridal shower contact Paper Perfection at jtanddolly@yahoo.com for pricing and details.